As a member of CTAHPERD you are encouraged to review the information below and to submit the names of those professionals who you believe are leaders in one or more of the four disciplines represented by CTAHPERD and who deserve appropriate recognition. Ten years as a teacher, supervisor or director of health education, physical education (including athletics), recreation and/or dance. 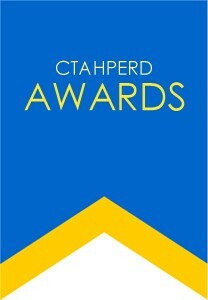 Membership in CTAHPERD for a minimum of three consecutive years is required for the Professional Merit or Professional Service Awards and five consecutive years is required for the Professional Honor Award. The Professional Merit Award requires four of the eleven points, The Professional Service Award requires five of the eleven points and the Professional Honor Award requires 6 of the eleven points. Present or past office holder in a local district, county, state, regional or national association. Chairperson of a committee in a local district, county, state, regional or national association. President or member of an executive committee in any organization in the field of health education, physical education, recreation and/or dance. Chairperson of a section in a local district, county, state, regional or national association. 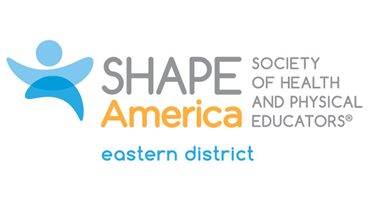 Committee work over a period of three or more years in a local district, county, state, regional or national association, or organization affiliated with CTAHPERD. Author or co-author of one or more books on health education, physical education, recreation and/or dance. Articles written in the field of health education, physical education, recreation and/or dance. Speeches, papers etc. presented to professional groups, assemblies, luncheon clubs, or on radio programs, television etc. Research in the field of health education, physical education, recreation and/or dance. Promotional work in the field of health education, physical education, recreation and/or dance. Any other outstanding contribution or service to CTAHPERD or the profession of health education, physical education, recreation and/or dance not included in the above ten points.